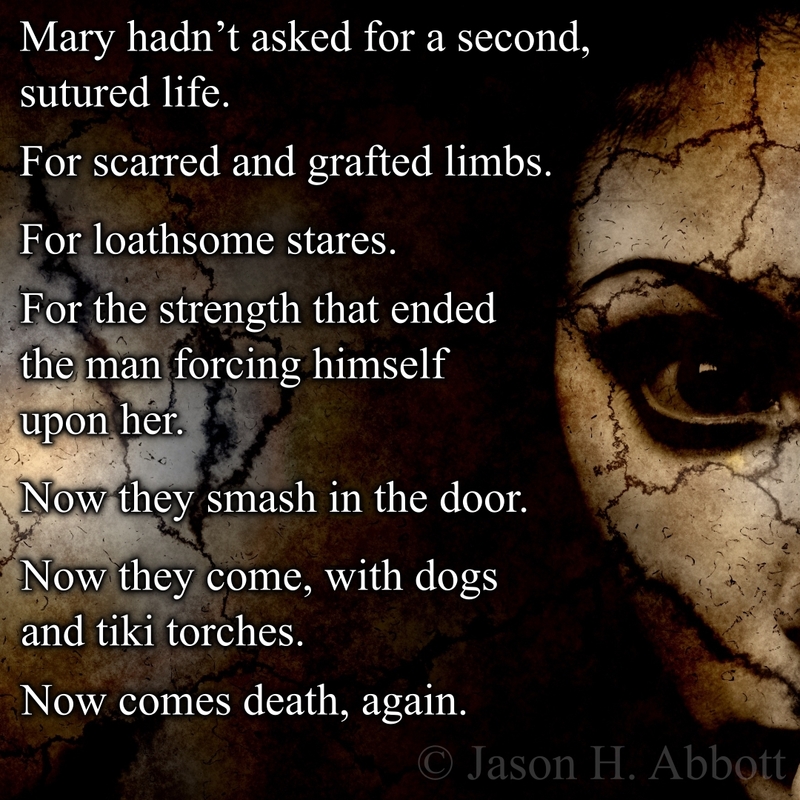 Mary hadn’t asked for a second, sutured life. For scarred and grafted limbs. For the strength that ended the man forcing himself upon her. Now they smash in the door. Now they come, with dogs and tiki torches.